Pelagic bird watching off Oregon. 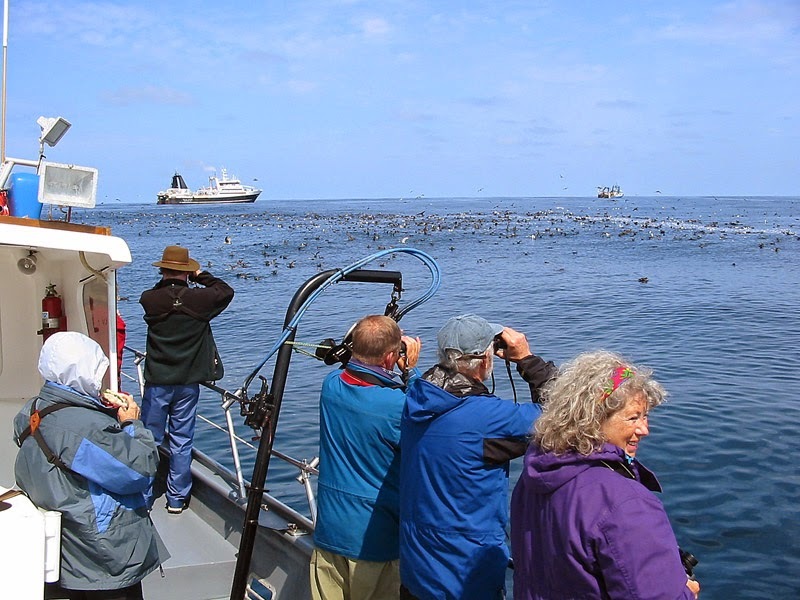 Welcome to Oregon Pelagic Tours! 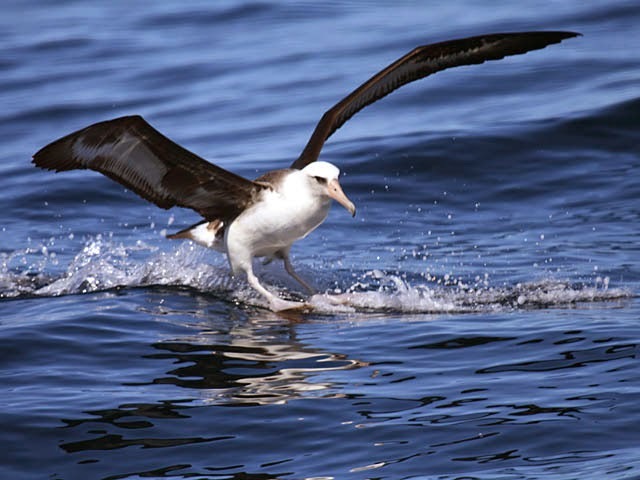 Please join one of our fun and exciting pelagic trips--guided ocean bird watching boat trips. Most of our trips are aboard 55 foot chartered fishing vessels carrying 30 participants and travel out 25-35 miles from shore. But we have some other trips scheduled throughout the year--shorter trips for beginners, longer excursions with rare seabirds as the target. On these offshore voyages we see pelagic birds that are rarely seen from shore. These birds breed in remote areas all around the Pacific Ocean and spend most of their lives far at sea. On your trip with us you may see, side-by-side, seabirds that breed on Arctic tundra (Sabine's Gull, Parasitic, Pomarine, and Long-tailed Jaegers, Red and Red-necked Phalaropes, Arctic Terns), or islands off New Zealand (Sooty, Buller's, and Flesh-footed Shearwaters), Chile (Sooty and Pink-footed Shearwaters), Hawaii (Laysan and Black-footed Albatrosses), southern California (Scripps's Murrelet), Oregon (Fork-tailed Storm-Petrel, Cassin's and Rhinoceros Auklets, and Tufted Puffins), the Aleutian Islands (Northern Fulmars, Ancient Murrelets, and Black-legged Kittiwakes), in nearby old growth forests (Marbled Murrelets) or local headlands (Common Murres, Pigeon Guillemots), or on remote Antarctica (South Polar Skuas). Birds are seen sitting on the water or flying by. At certain points in the trip, albatrosses, fulmars, gulls, and storm-petrels are baited to the boat for photography and prolonged views. These in turn often attract other birds. 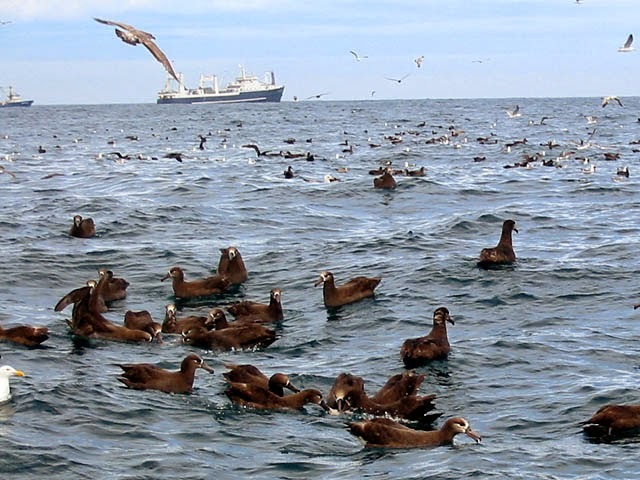 On some trips we encounter fishing fleets working offshore attracting thousands of birds. Other trips have fewer concentrations. But all trips are designed to travel to the best offshore areas and pick up the most seabird species possible. Our guides work hard to show you the birds and point out their field marks. Guides also describe each seabirds' unique flight style that allows identification of most species from as far away as you can see them. 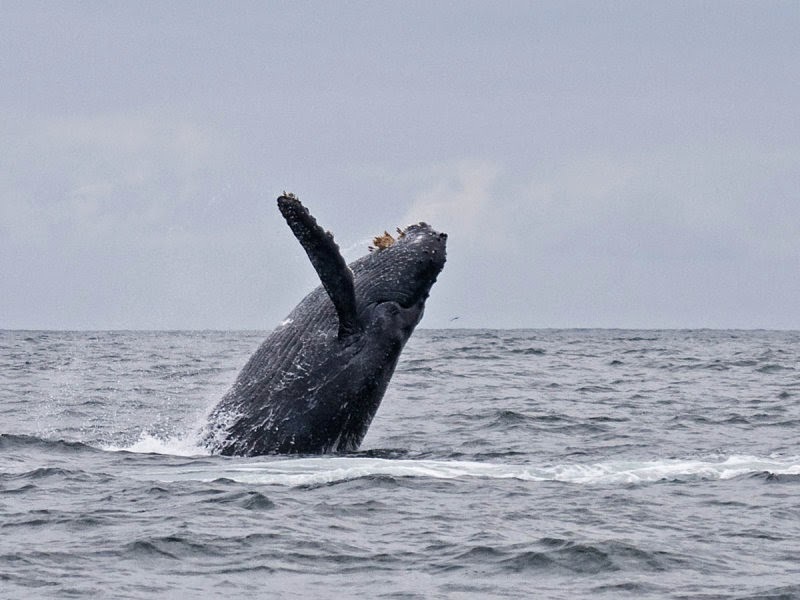 Many of our exciting pelagic birding trips encounter Gray Whales near shore and Humpback Whales farther out. Several other great whales have been seen. Several species of seals, sea lions, dolphins, and porpoises are regular. If seas are calm marine fishes, sharks, and jellies may be spotted in the water.